1305633792 -Offering compelling photos, engaging examples, and select studies by anthropologists in a variety of locations around the globe, this market-leading text presents cultural anthropology in vivid, accessible terms showing students how this discipline is relevant to understanding the complex world around them. Honed, streamlined, and extensively updated throughout, the 15th edition presents the fundamental concepts from a holistic perspective using three unifying themes: 1) the varied ways humans face the challenges of existence, 2) the connections between culture and biology in shaping human beliefs and behavior, and 3) the impact of globalization on peoples and cultures around the world. This edition also retains its integrated coverage of race, class, gender, and ethnicity, as well as its popular Globalscape feature, which gets students thinking about the consequences of globalization and (sometimes) their own behavior. A strong supplements program provides instructors and students with a wealth of resources designed to enhance the teaching and learning experience. 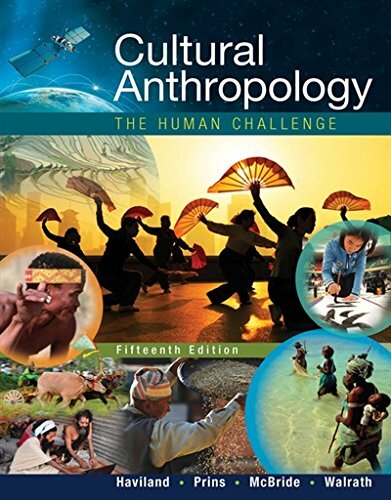 Long known as a cutting edge teaching tool, Cultural Anthropology: The Human Challenge takes a pedagogical leap in this edition with the introduction of MindTap–a digital interactive learning platform, more information below.